While it's rare that anything can ever quite live up to its reputation, the Champagne region is as impressive as the sparkling wine its grapes produce. The official drink of important celebrations, Champagne was invented in the late seventeenth century by the Benedictine monk Dom Pierre Pérignon from grapes that are rumored to have been planted before the birth of Christ. And while getting a full sense of the history and beauty of this region would require a month rather than three short days, you can cover a lot of the region by basing your exploration of the Champagne region in Reims, located less than two hours by car from Paris. Home to numerous major Champagne houses, Reims will also allow you to experience and understand much of the area's rich history. 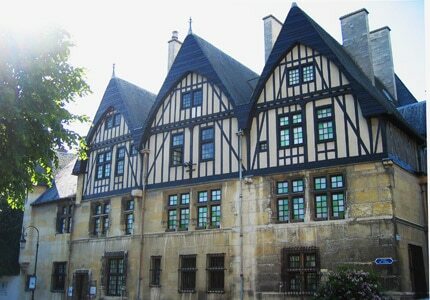 We recommend two excellent hotels for your stay in Reims. Château Les Crayères, a magnificent, turn-of-the-century mansion, is situated on a vast estate in the middle of the city. The spacious, comfortable rooms here open out on to the surrounding greenery, and the service is competent without being obsequious. You may want to dine at the hotel's excellent restaurant Restaurant Le Parc, where the cuisine possesses a singular grace. Ingredients are combined in an inimitable and "filtered" manner, thus eliminating over-richness, and leaving only the essence of it. Le Parc is closed Monday and Tuesday and is open for lunch and dinner. A second hotel option is the Grand Hôtel des Templiers. Located near the cathedral, this magnificent nineteenth-century house boasts neo-Gothic décor, a monumental wooden staircase, stained glass windows and handsome lounges with dark wood paneling. First-class services offered here include a swimming therapy-equipped heated pool and sauna facilities. Getting back to the history of this area, the first half of your first day in Reims should be spent visiting the magnificent historical landmarks, several of which are included in the World Heritage List maintained by UNESCO. Start by visiting the sublime Notre-Dame de Reims, which is illuminated by the pure, radiant expression of its famous Smiling Angel, a masterpiece of French Gothic sculpture. The vertiginous spires, glowing stained glass and lacy stonework of Champagne's cathedrals (Soissons, Laon, Troyes and Châlons-sur-Marne in addition to Reims) are testaments not only to an enduring Christian faith, but also a common will to assert France's unique place in the world through its art, its technical mastery and its political, military and financial might — in other words, all the elements required to build a modern state. This resolve, initiated by kings and bishops, was relayed to the common people by their priests and flowed through the land, giving rise to churches, abbeys and monasteries: signs of the spiritual continuity and political cohesion that ultimately extended to all of France. Wander over to the nearby Saint Rémi Basilica, the largest Romanesque pilgrimage church in northern France. As the name indicates, it was built in honor of Saint Rémi. The nave was consecrated in 1049, whereas the apse was built in the late twelfth century and is an example of early Gothic style. The famous Benedictine Abbey of Saint Rémi, the shrine of the Holy Ampula used for French kings' coronations, is a magnificent classical building. It now houses the city's Museum of History and Archeology with impressive collections from prehistory to the Renaissance as well as a large military history section. Also not to be missed is the Palace of Tau. The former Archbishop's Palace was built by Mansart and Robert de Cotte in 1690. 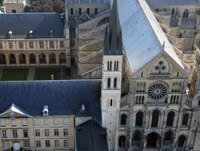 Today it houses the cathedral's museum with tapestries, sculptures and artifacts from the kings' coronations. The "Salle du Tau," once used as a banqueting hall after coronations, is most noteworthy. The afternoon of your first day can be spent experiencing Champagne's soft and round native flavors: think of ivory-skinned Chaource or buttery Pierre-Robert cheeses, silken boudin blanc sausage and such typical sweets as pink-tinged biscuits de Reims or croquinoles (tiny merinques). And naturally, there's Champagne itself, the sparkling, elegant soul of the region's chalk-rich soil, but we'll leave that for Day 2 (and Day 3). Your first stop of the afternoon should be La Cave aux Fromages. For generations, the same family has overseen this shop, where you can sample Chaource, Langres and Pierre-Robert, as well as other appetizing cheeses. From here, you can move on to Deléans. Since 1810 the gourmets of Reims have indulged their sweet tooth here with a vast array of candies and assorted chocolates. The pride of the house is the chocolate-coated cherry in brandy, called the Nelusko. Staying with the theme of sweets, make your way to Maison Fossier, where you will be able to sample the city's famous pink lady fingers (often dipped in sweet or demi-sec Champagne). In fact, they're better with custards or puddings than with bubbly! Also on hand is the local version of gingerbread, made with rye flour. A final stop on your tour of the regional food shops of Reims should be Charbonneaux-Brabant. Here, you'll find mustard spiked with Champagne (in smooth or grainy versions) and Champagne vinegar which is cask-aged for at least four years. These two remarkable condiments are a nice way to take a piece of your trip home with you. 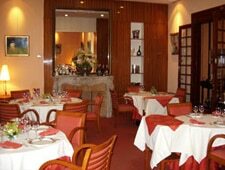 If you're not dining at Restaurant Le Parc and are looking for something a bit more low-key, try Restaurant Le Foch. Here, chef Jacky Louazé proves with his simple cooking based on products from the terroir that he is a culinary star of Reims.